I have the WC68 mounted on a Jinma284 and this will chip anything that I can throw at it I couldn’t be more satisfied with this product! This is a well built piece of equipment. My son and I are clearing about five acres of trees that are 4" or less and about 20' to 30' tall. The chipper has reliably chipped with no issues. The only reason I gave it four stars instead of five is because I think the hydraulic intake is slightly under-powered. The feed roller has a tendency to trip off and require the operator to reset the safety bar. This happens more than I would like, and slows down the work. I received technical support to adjust the tripping pressure, but it only made a slight difference. Overall I am pleased, I just would prefer not to have to fuss with the safety bar as often as I do. 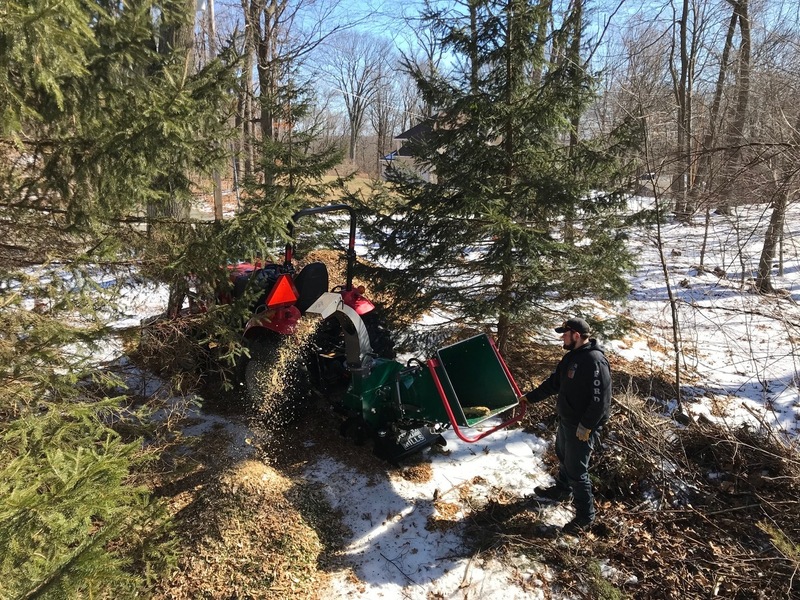 I purchased the woodchipper in the fall and worked it for a couple of hours on my cross country ski trails before winter set in. This chipper will eat anything I throw at it. I'm impressed how it is put together, and I am looking forward to putting it to work again as soon as the snow disappears. I use this Woodchipper on my Christmas tree farm located in Wisconsin.Works great wish I would have purchased this years ago. I have done a lot of research and watched many videos on a bunch of 6” PTO wood chippers. I have looked at WoodMaxx, Salsco, Wallenstein, Betstco and Woodland Mills. Obviously, Woodland Mills was the right choice! 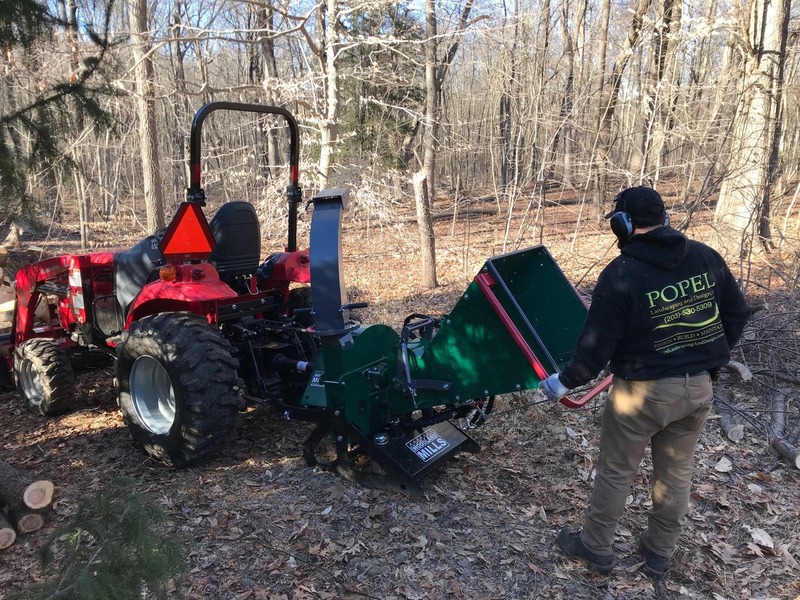 I was looking at a 6” chipper that would be able to run off our Mahindra 1533 HST tractor which has 24.7 horsepower at the PTO and the Woodland Mills WC68 6” PTO wood chipper was the most durable and well built chipper for our needs. This chipper doesn’t shake, rattle or vibrate when it is running like some of the other brands. We have had it for less than a week and already have over 20 hours of usage on it. 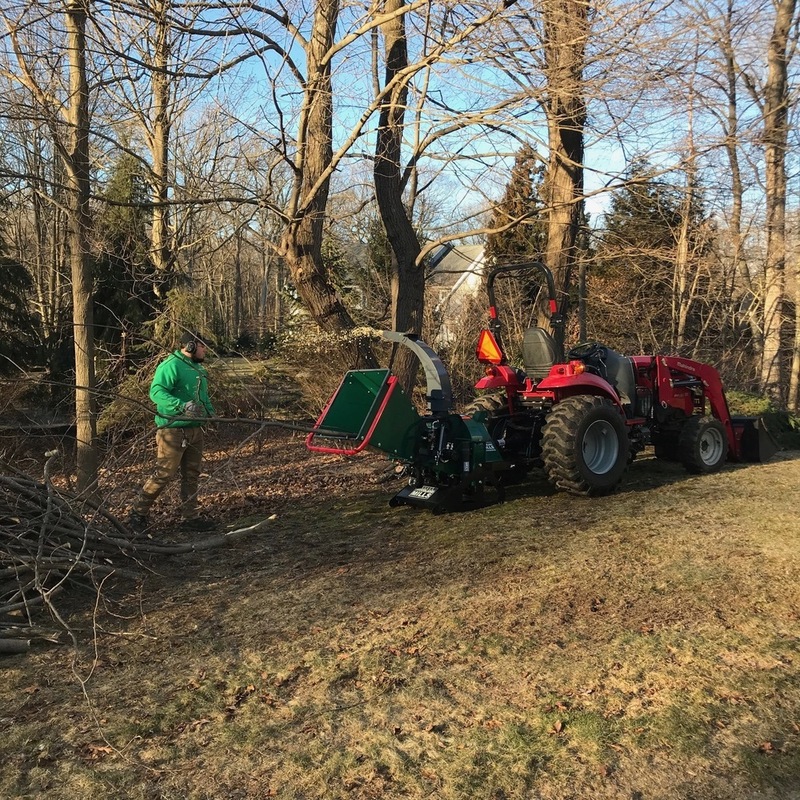 Everything that we feed the chipper from branches, small saplings up to 5” logs has taken it through with no problems at all. Larger sizes are used for firewood. I would highly recommend anybody looking for a chipper in this category to check out the WC68 6” PTO chipper. You will not be disappointed. Thank You Woodland Mills! I did a lot of research before choosing this wood chipper. I searched high and low for every possible competitor and ultimately landed on picking between woodmaxx and woodland mills. My good friend was also in the market for a chipper. He needed up purchasing the woodmaxx WM8H because he thought the whole thing was made in the USA, but he didn't realize it was just the knives! oops...He already bought it by the time I corrected him. This did lead me to get an up close and personal look at the woodmaxx WM8H though. The short answer is I am very pleased with my choice of woodland Mills over WoodMaxx. From a functionality standpoint I am assuming both units from both brands will last for many years, but I did notice that some of the metal sheeting on the woodmaxx was quite flimsy and could easily be bent. It was the part protecting the PTO area. The PTO shaft itself that came with the woodland mills was a lot larger and higher quality than the Woodmaxx. I also definitely prefer the rounded carriage bolts on the woodland mills as well as the rounded front bezel for the shoot opening. The folding shoot is great for saving space in my barn area. I also love that the base of the woodland mills is self standing and doesn't need the quirky little "Foot" that the woodmaxx needs to prevent it from falling over when its not attached to the tractor. I also found the woodland mills to be easier to attach to the tractor with only one person. It required two to get the woodmaxx connected (that is somewhat subjective). I think I prefer the placement of the handle on the woodland mills also. A bottom handle seems less likely to accidentally hit with branches. One nice feature on the woodmaxx is the ability to grab the handle to immediately open up the chute rollers to fit branches that may not want to catch easily. Anything that has sat on the forest floor for a bit of time and is partially soft is a bit harder to get the woodland mills roller to grab. I guess I could more permanently adjust the tension to make that easier. The woodmaxx also uses two moving indeed rollers instead of one on the woodland. mills. I didn't get enough hours of use on my friends unit to definitively say whether that extra roller helped or not. The coating on the woodland mills is also perhaps a bit nicer or has less nicks from the factory. I noticed some rusting right away on my friends woodmaxx unit where the coating wasn't done perfectly. The added tachometer on the woodmaxx was a nice addition. It would be nice to see that added to the woodland mills. The discharge chute on the woodmaxx seamed less refined and cheaper. It may have had thinner sheet metal, I didn't measure it, but it looked more flimsy. Overall the look and feel of the woodland mills seemed more refined and it looked like more creative problem solving went into the design. The little things add up to make a solid refined product. For as many years as the woodmaxx has been out I am surprised they haven't continued to refine and tweak the design to make it better. It seems that woodland mills does just that. They listen to feedback and make tweaks. That is exactly what a customer like me is looking for in a company. I will hopefully get a video review on youtube sometime before the summer of 2019.